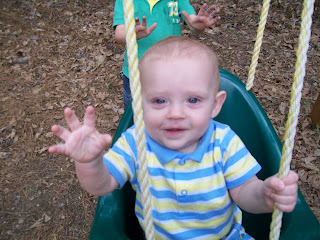 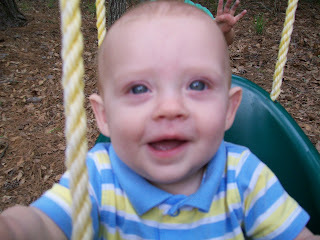 Brady smiling in his swing. 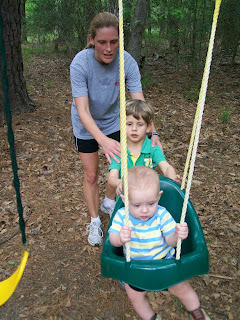 Making sure Dawson pushes Brady gently. 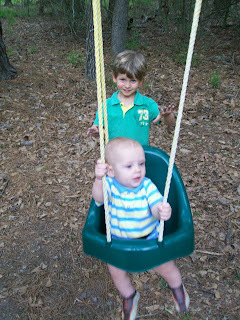 The big brother doing a good job pushing his little brother.